“I thought, ‘Phew, that way when people look her up, they’ll know it’s different.’ I guess not,” said the misidentified professor. Several far-right news websites, amplified by The Drudge Report, published articles on Monday saying that Christine Ford, the college professor who accused Supreme Court nominee Brett Kavanaugh of attempted sexual assault, was a “mad” and “troubled” professor. But the stories identified the wrong Christine Ford. The real accuser is Christine Blasey Ford, who teaches psychology and statistics at Palo Alto University. The one the right-wing sites targeted was Christine Adams Ford, a professor of human services at California State University, Fullerton. The incorrect articles went viral, prompting the web sites to pull them down and issue corrections. Those doing so included Gateway Pundit and Grabien, along with right-wing agitator Jack Posobiec. Grabien, a news website, sent readers to student reviews of the wrong professor. Grabien issued a correction within hours, but the story had already gone viral, receiving a link on The Drudge Report’s homepage. “CHRISTINE FORD’S STUDENTS RAVAGE HER IN REVIEWS,” the link read. Fox News host Laura Ingraham also shared the Grabien post to her Facebook followers and later deleted it. Posobiec, one of the initial pushers of the Pizzagate hoax, linked directly to the wrong RateMyProfessors.com page from his Twitter account on Sunday night. The wrongly identified Ford, Christine Adams, said she was giving a speech as a keynote speaker at a conference for the Los Angeles Department of Mental Health when the sites began inadvertently began misidentifying her as Kavanaugh’s accuser. 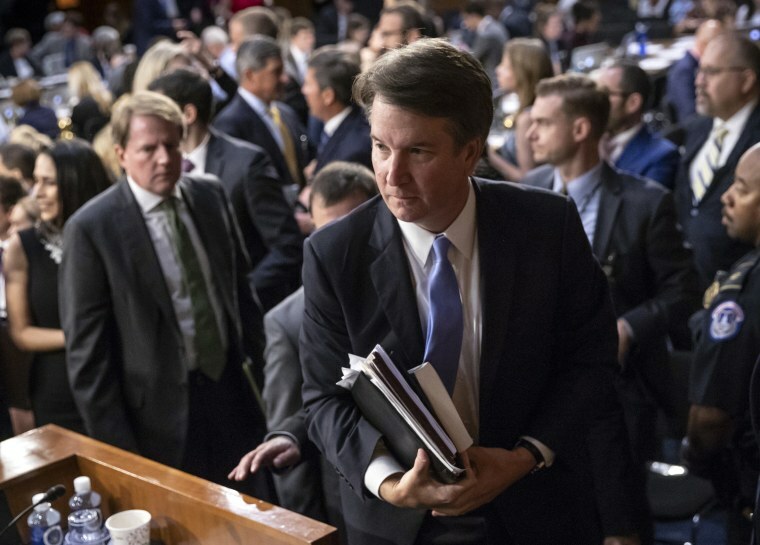 “Given that [Christine Blasey Ford] was trying to remain anonymous for a while there, I’m sure she must be a little relieved they didn’t find her real page,” Ford said. Ford added that she was not aware of any threats or abuse as a result of the stories. The extra name was not enough for many conservative websites to differentiate between the two California professors. Gateway Pundit has a track record of misidentifying newsworthy people based on social media accounts. Since January of 2017, it has incorrectly identified perpetrators of four different terror attacks, including claiming the Charlottesville car attack was perpetrated by an “anti-Trump protester” who was several states away. Last month, the site wrongly claimed a mass shooting at a Madden video game tournament in Jacksonville was committed by a “member of the anti-Trump ‘resistance,’” citing a Reddit account that did not, in fact, belong to the shooter.